The location marker is placed on Salzburg. The location marker is placed on Salzburg. 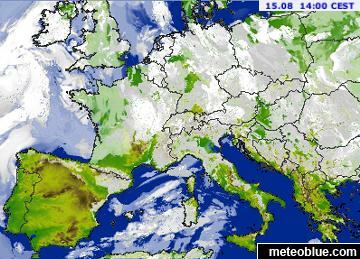 This animation shows the precipitation radar for the last hour, as well as a 2h forecast. Drizzle or light snow fall might be invisible for the radar. Precipitation intensity is colour coded, ranging from light blue to heavy purple. 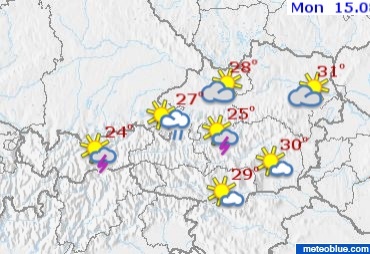 0” precipitation in Salzburg at 13:50-15:05.